Youth who drink are 7.5 times more likely to use other illegal drugs and 50 times more likely to use cocaine than young people who never drink. One survey found that 32 percent of the heavy drinkers over 12 were also illegal drug users. A 2007 survey of 11- to 15-year-olds in the UK found that one in five, or 20 percent, had drunk alcohol in the last seven days. 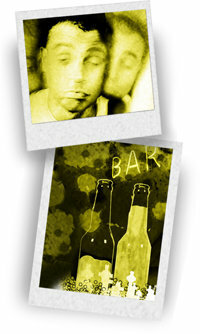 In Ireland, one in four deaths of young men aged 15 to 39 is due to alcohol. It is estimated that alcohol‑related crime costs the UK £7.3 billion a year in terms of policing, prevention, criminal justice and human costs incurred by the victims of crime.